Wapping is one of London’s more traditional areas, it offers an eclectic mix of warehouse conversions, riverside pubs and restaurants and historic landmarks. Situated on the north bank of the Thames much of the property is water fronted and offers spectacular views over the river towards south London. Wapping is a district in the East of London in the borough of Tower Hamlets. It is located between the north bank of the river Thames and The Highway, an ancient roman road in east London. Due to its proximity to water it has a strong maritime character. First developed by the Saxons, Wapping developed along the embankment of the Thames giving it a long thin shape; initially it consisted of little more than Wapping High Street. The area had a strong maritime character for centuries and was largely inhabited by sailors, mast makers, boat-builders, blockmakers, instrument-makers and other seafaring trades. Wapping is also the home to Execution Dock and was used for more than 400 years to execute pirates, smugglers and other water-borne criminals. The building of the London Docks in the 19th century radically transformed the area, the population dropped by 60% with many houses destroyed by the constriction of the docks and giant warehouses on the waterfront. Wapping was devastated by World War II and the closure of the Docks and until the 1980’s remained a derelict area until the Docklands Development Corporation was established. Today Wapping’s greatest attraction is probably the river Thames itself, which is lined with quaint pubs and restaurants, such as the prospect of Whitby, which claims to be the oldest Thames riverside pub still in existence. Wapping still has one of the oldest village settlements, and housing here consists of warehouses conversions, much river fronted property and a few new developments including London Dock. 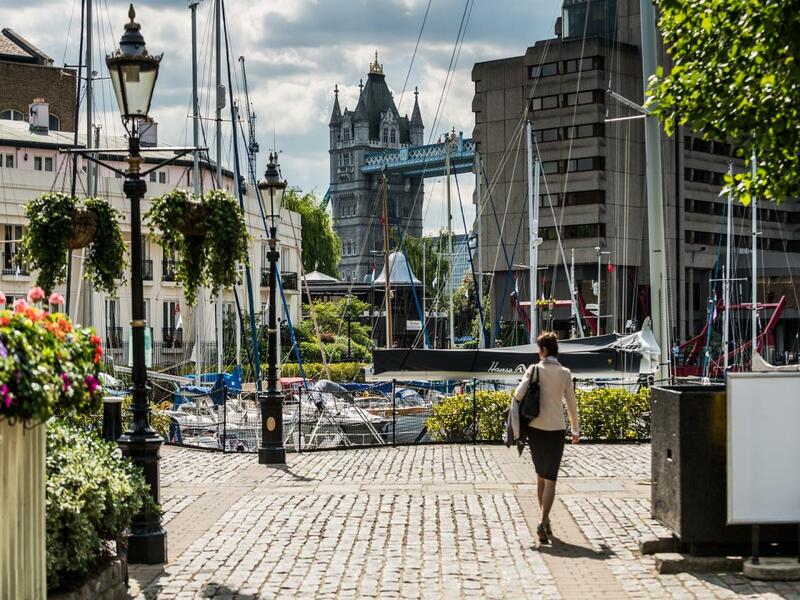 Wapping is located on the Thames, just a 15 minute walk from Tower Bridge.